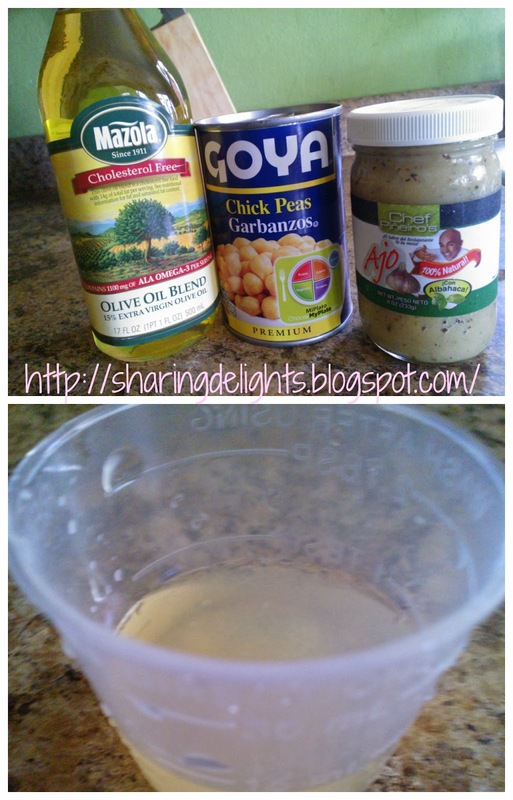 Directions In a food processor, puree the chickpeas and garlic with the olive oil, lemon juice, (if using) until smooth and creamy. Add 1 to 2 tablespoons water as necessary to achieve the desired consistency.. I like it pasty. so I don't add water. Transfer to a bowl. Drizzle with olive oil and sprinkle with the a lil paprika before serving. In this Hummus I made for my daughter so she requested to be as simple and natural to taste as possible, That's why I didn't add the Optional or additional ingredients that its a custom to be part of the Hummus. As you can see you can create this Hummus with or with out all ingredients. I use my simply Hummus on whole wheat pita, with vegetables, and stuffed into romaine lettuce heart leaves. Stay tuned for my next recipe, Won Ton Stuffed with Hummus and Spinach!